I think I may have mentioned that we were looking for a milk goat. So we found one this week, but she had her two little babies still with her. So we had to bring all three home. (Aww, shucks…I have to put up with all this cuteness.) The babies are both little bucks, so we won’t be keeping them for too long. (Anybody looking for a Nubian buck?) But they are so adorable right now! I wasn’t prepared for how little they would be. They are only a couple days old, compared to our girls who were two months old when we got them. 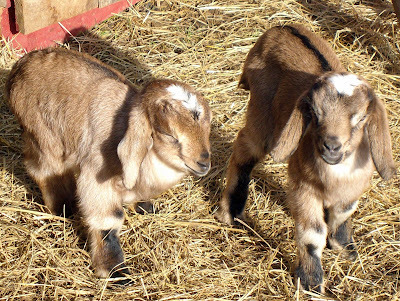 They fit perfectly right in your arms for little sweet goaty cuddles. 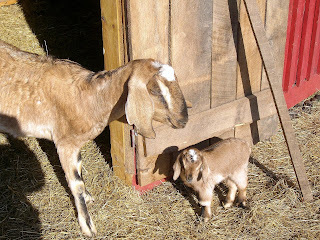 Paul is going to build a milk stand this afternoon for me, and we have to modify the goat barn a little to make a pen to keep the kids in so that they will leave the milk alone for the night, and we can milk her out first thing in the morning, then let the babies go with her for the day. 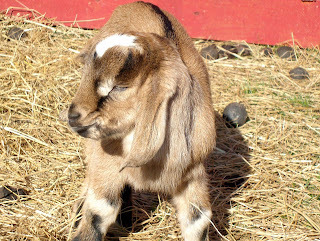 So tomorrow I may be taking my first shot at milking a goat! That should be interesting as I have never milked anything before. But I’ve read all the books and more than one author says that is how they started with just written instructions. My inner dairy maid is telling me I can do this! And here’s Mama, of course. She’s really the reason we bought them, but it’s hard to resist the baby cuteness. She’s three years old and this is her second time having kids. She’s a purebed Nubian. (As is Bambi. Betty Bob is a La Mancha.) The babies look just like their mama. It’s actually really hard to tell them apart, but we’ve found a couple slight differences. We’re working on her name. We thought another “B” name to go with Betty Bob and Bambi. Beulah, Bess, Bella, I dunno--we’re working on it. We haven’t made it to baby names yet, either. I thought maybe something like Heckle and Jeckle or Tom and Jerry. That’s my well-behaved girlies trying to eat my delicious pants. It’s also much harder to get pictures of them when they rush you when you step into their yard. 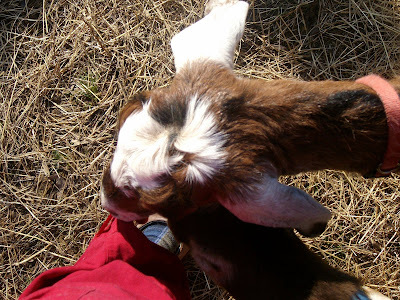 I did have several opportunities for extreme close-ups of Betty Bob when I tried to kneel down and take pictures of the babies and she thought I wanted her to eat the camera! Of course, we are hoping for kids from Bambi and Betty Bob in the summer, but now we won’t have to wait for milk. We go through ridiculous amounts of milk here, and it will be nice if we can avoid having to go to the store nearly every day for milk. We can easily use almost a gallon of milk a day here, and Holly isn’t even drinking it yet! Goat milk is supposed to be easier to digest than cow milk, plus we know that it won’t have any extras in it like hormones or antibiotics. We’re also hoping to be able to make some of our own cheese and yogurt. 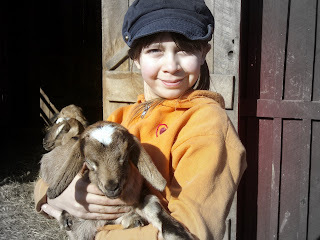 And we have plans to make goat milk soap which is wonderful for the skin. Right now we’ve been buying soap from Hidden Haven on Etsy, and it’s wonderful. Her prices are terrific, and she is very reasonable with shipping charges also. If you decide to check it out, I highly recommend the Chocolate Mint soap. I have to warn you, though, it’s so yummy smelling you will want to eat it! So, if you’ll excuse me now, I’m off to check on my babies! Finn: I have bigger legs. 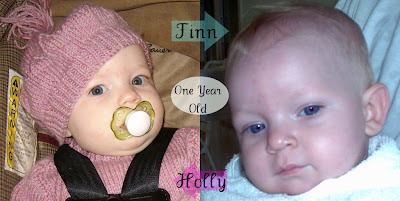 Me: Did you use to be little like Holly? Finn: No. I used to be big like you! I finally got around to finishing this skirt for Ivy. (It's embarrassing to admit that I have a tendency to start things for the kids and not finish them before they outgrow them.) It is made from New Look pattern 6661. 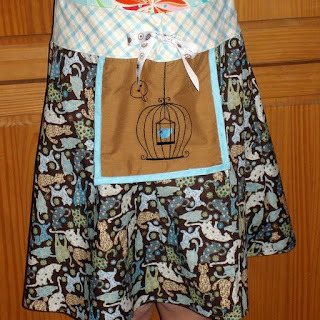 I added an embroidered apron to the front of it because I saw some skirts like this and thought they were really cute, and because I love the design, and I love the birdcage contrasting with the cats. It's from Urban Threads. They have some seriously cute designs. My wish-list there keeps growing! I wanted to try my hand at blending a couple different prints, and I really like how it turned out. I see so many cute dresses made from a medley of fabrics and this was my attempt at that. I bought some bias tape makers a while back and got around to trying one out for the trim on the embroidered apron piece. I used a thin blue fabric with textured dots on it. I'm not sure that it was any easier than just adding trim because the bias tape maker was a little fiddly, but it could be that I'm just not used to it yet. I'll have to give it a few more tries before I decide whether it is really useful or not. I got some more of the cat fabric the other day in pink colors and a couple matching prints. I may try to make something for Holly so they can be matching. This also went with him. Well, not Cowboy, specifically, but his very kind owners who let us borrow Cowboy. 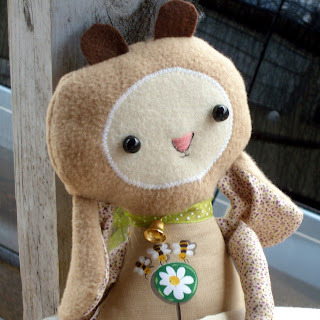 It's another Bit of Whimsy doll. I just knew this goat would be the perfect thank you for the loan of Cowboy. 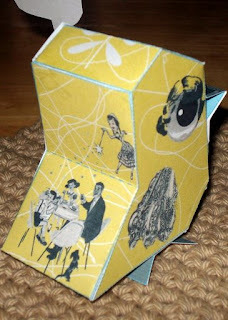 And it was as good an excuse as any to buy another Bit of Whimsy pattern! And just for the fun of it, here's some chicken shots. One of our hens was in the barn so she didn't make it into the group shot. We've had two 3-egg days this week. Guess the longer days are helping with egg productivity. Paul has had an interest in making his own wine for a while. He's read several books on the subject and talked to others who have accomplished this task-including his father. This year from our income tax return, we each got a bit of spending money to do whatever with. He used some of his to purchase a wine making kit and over various wine making supplies. While he was waiting for his kit to arrive, I found instructions for making homemade wine at The Homesteading Housewife. It looked so simple and unfussy, I read him the post. He didn't want to try it since he has all his fancy-schmancy wine doo-dads to use making his brew. But I decided it sounded simple enough for me to give it a go. So we agreed that we would each make our gallon of wine and then decide which was better. Of course he thinks his will be. I'm not sure, but I like how Dana describes the her wine. I think her tastes sound like ours. Paul and I both like cheapinexpensive, sort of sweet, definitely not dry, wines. We agreed for the most accurate comparison to use the same sort of fruit for both wines. So he's in town now buying raspberries and sugar. I need to get a big container to hold my wine makings in, but I saw some at Walmart that would work, and tomorrow I am going to Target, so I'll compare prices and get one to get the stuff going this weekend. I'll keep you posted on our wine making process! This week's craft was a real quickie. Paul asked me to send off some stained glass cupcakes he sold as a custom order in his Etsy shop. Since they needed to have some kind of padding around them, I just decided to sew little pouches for them. I took a sheet of felt and some fleece lining and sewed them up really quickly on my serger. I sandwiched the two pieces together, finished the top edge by serging and then serged the side seams. 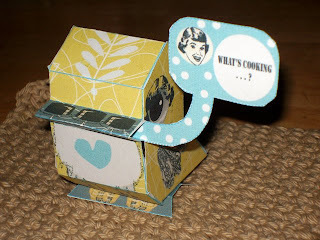 I popped a cupcake in each pouch and tied a ribbon around and had some cute little packaging for his creations. You could easily change the size of this for a larger item. It makes a nice little reusable gift bag. 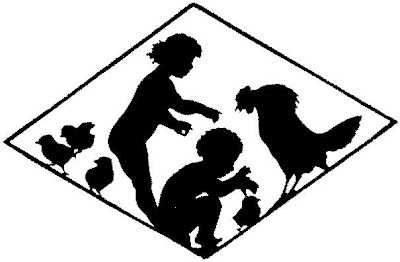 I'm so happy that last night we were able to order our incubator. I've been keeping an eye on our local Trader's Guide paper, but nothing seemed to be coming up. So I decided was going to use some of the money I had to spend from our tax return to get an incubator for around $100 or so. But when I told Paul that I was going to spend my money on that, he said that I should just order one from family funds because it was for the whole family. So last night, I found the best looking deal through Amazon because we had an Amazon gift certificate to apply to our order and the order went in. I can't wait for it to show up, but the delivery date says from Feb. 13- Mar. 3. Quite a range! So I suppose I won't hold my breath and will be pleasantly surprised when it shows up. I guess I should receive a tracking number when it ships. 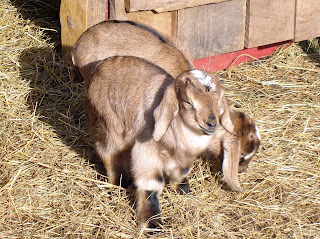 And speaking of new kids, I'm hoping both our goats are bred now. Cowboy will be mosying home next weekend, probably. 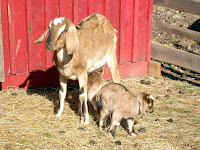 Goats are pregnant for about 5 months. So fresh milk is still a ways off for us. 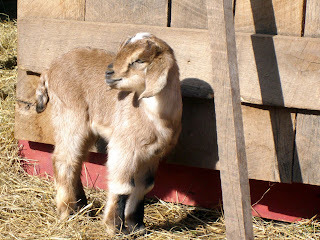 But, Paul has agreed that we can look for a goat that is milking currently and purchase it in the mean time. We're not going to go out of our way on this one, but if we find one it would be great. We're also not going to spend a bundle on it, but some mixed dairy breed would be fine. I think he actually just likes me to keep him busy with new projects to build things for. Right now, he's got plans going for a small chicken coop and run for meat chickens, some kind of shelter for rabbit cages, a greenhouse, and a pig pen. In addition to finishing a combo workshop and guesthouse, finishing our living room addition, and expanding the goat pen. Plus if we are able to find a milk goat, he will have to make a couple modifications to the goat barn that would have had to be made anyways. I'm just happy that he is handy at building things. He has built all our outbuildings and barns around here. Plus added a few rooms onto our home. We couldn't have done much of anything if we'd had to pay for someone to work on building all these things. If I want him to make something, I just find a picture of what I like and he goes to it. It goes a long ways towards why I keep him around! We're all doing a happy dance here for running water. It's similar to a rain dance, I think, but more in the thankful line than the asking line! We woke up this morning to all frozen pipes. It had dropped into the single digits last night, and we forgot to take the precaution of letting the faucets drip before bed. We do have an outdoor freeze-proof faucet so I was able to bring some water in from outside. While trying to defrost, we enjoyed these yummy breakfast puffs made from a recipe posted on be the thread. Then just as we were finishing up our late brunch and I was trying to figure out the best way of cleaning up without water, Ivy tried the faucet and it spluttered! Thankfully we had water again and no broken pipes, which is always a worry for when they thaw out. I'm longing for warmer weather. Usually we get through the winters pretty unscathed here. We normally have a couple snowfalls that keep me from getting my minivan up and down the driveway for a couple days, but usually we can get my husband's 4wd Blazer in and out. Last week we had no power for a day, and this week no water. It was the first time in over five years that we have lost power for more than a couple minutes. It was out about 12 hours. 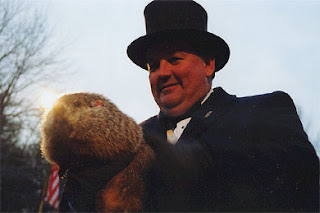 I don't know which was worse, but I think I am going to go with no power because our furnace needs power to operate. So it was a wee bit chilly last week, and we wound up packing the tribe up and walking over the hill to my parents' house. They live right next door. (Down a treacherously slippery driveway if it's covered with snow and slush. I only fell once...) I'm going to double check with hubby, but I think it's a very good possibility that we forgot to pay the weather man off this year! While doing without, it always strikes me how much we rely on things like power and running water. We don't even realize it until we have to go without. For instance, last week, I had taken a few candles into the bathroom and was returning to light them. As I walked into the bathroom, lighter in hand and eyes focused on the candles, I reached to flip the light on! Duh...there's no power--that's why I'm lighting candles! This morning as I was cooking, I kept turning to the sink to rinse my hands or wet the sponge. It's so much extra work having to bring water from outside (even if the faucet is two steps from our porch) and heat it on the stove. I considered doing dishes--even had gotten so far as to fill the sink with hot water when I realized I needed something to rinse the dishes also and that brought my plans to a screeching halt. I felt pretty secure in the knowledge that nobody was going to bother trudging up our hill in this cold and snow, so I left the dishes until we had water. It makes me admire our ancestors who really worked for the simple things we take for granted and thankful that most of the time we do enjoy these conveniences. And look what arrived today in the mail! A little Dotee doll named Ruby and all dressed for the cold weather. I received her as part of a red Dotee Doll swap on Swapbot. She came with the cutest card and story, too. She's from Wales where it is also a bit chilly, and she admired the wooly warmness of the sheep there. So that's why she is all wooly and warm. Plus she has her snuggly hat and scarf to keep her toasty--and a good thing too with the weather we've been having! I did have to fight Ivy for her, but I think I prevailed! Thanks Haloquin for sending her! 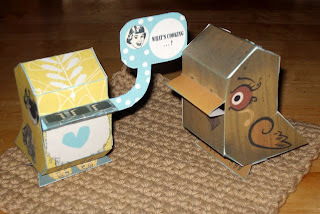 Sometime recently I came across this website with downloadable project templates for making NaniBirds. 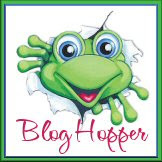 I thought some of them were really cute and it looked like a fun project, so I bookmarked it to come back to later. Nani is the Japanese word for what. 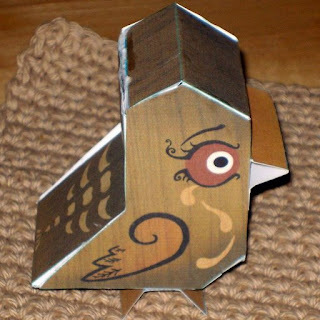 Many artists have contributed their own interpretation of the NaniBird by customizing the bird with their artwork. All are free to download and print out. Once printed, you cut them out and fold and glue! We found the glue stick worked better than white glue because it was tackier and stuck quicker. Ivy got a little frustrated getting hers to stick all together, so I wound up helping her some. There are lots of NaniBirds to choose from, and they go together really quickly. 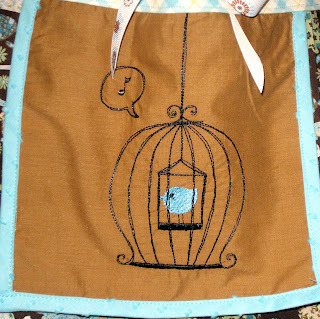 I chose the yellow and blue NaniBird asking, "What's cooking?" because my kitchen colors are yellow and blue. You can now find him perching atop my microwave!